Your employee handbook can be the backbone for your business if it is written clearly and concisely. Employees want clear expectations now more than ever. If a handbook is well written, the employee will see that the employer is consistent and there are no surprises. Once you find those great employees, your handbook can show them exactly what they can expect from your organization. It defines expectations – Your employees and managers know what to expect from the organization. If they need to know the process to ask for medical leave, they can look it up in the company handbook and then follow up with HR team for additional questions. New employees know what to do – Being a new employee is intimidating especially before your first day of work. They need to know work hours, what they can wear, and how long have for their lunch break. All these can be answered by the handbook before the new employee starts. This will help ease their anxiety about starting a new job. It is a reference book for the manager and the HR person – Sometimes a manager is not sure about a policy and the handbook can clearly spell things out for them. HR should keep a list of questions that are asked by managers and employees that are not in the current handbook, but may need to be addressed in the annual handbook update. It tells the employees you want to protect them, too – If you have harassment, diversity, workplace violence, and anti-discrimination policies, your employees know you want to protect them. Sure, you may be including them in your handbook because you’re supposed to, but it can create a sense of relief to incoming employees and they will appreciate a company’s dedication to their safety. It also sets clear expectations and shows your business that you do not tolerate certain behaviors and do not want troublemakers working for you. Your handbook can be sales tool – When interviewing new employees and when you are at the point you are ready to hire them, you should mention some great features in your employee handbook. Brag about it and brag about your business. For example, tell them about some of the policies that protect them, discuss the benefits of working there, and spell out your vacation and PTO plans. Your handbook can be a great sales tool for you if it is done right. Sometimes, employees and managers do not like the company handbook. Why? Because an employer may have policies that aren’t clear or the entire handbook sounds threatening. In addition, managers have a hard time with them if there are too many policies and those policies conflict with each other. According to Inc.com, a company should ensure its handbook is clear, concise, and positive. Experts say that small and mid-sized businesses can create an employee handbook that can protect a company from litigation as well as put staff members at ease by creating policies in positive terms. 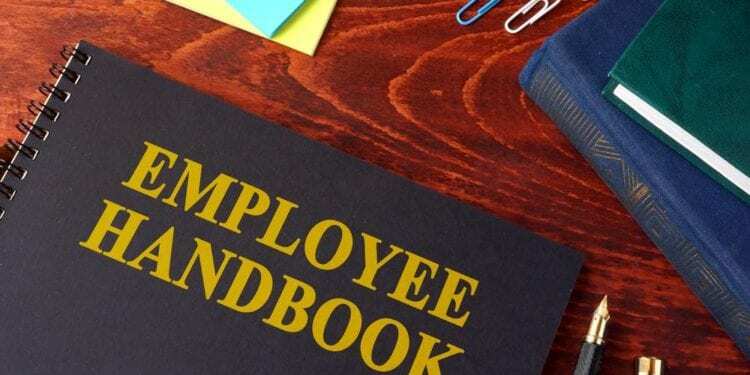 A handbook should be a place where an employee can go for answers and not feel threatened. Good employers start the relationship with positive messages in all their communications. Obviously, there are some things like harassment that cannot be tolerated and those should be spelled out in the handbook. But, on the whole, your company handbook should spread a positive message through its entirety. Welcome statement – In your welcoming statement, this is the time to include your mission and values, as well as discuss why your employees are important to your organization. This is the first page your new employee will read so it’s extremely important to convey a very positive message in these paragraphs. Employment At-Will statement – Most states accept the at-will statement, but check your state laws to make you can include it in your handbook. Also, beware that this statement does scare young employees or workers who have never seen it before. Be prepared to answer questions about why you included it in your handbook. Legal Section – You should include policies about your company’s commitment to Equal Opportunity, ADA and Reasonable Accommodation, Commitment to Diversity, and your Harassment and Complaint Procedure. You should also include any laws that are pertinent to your state in this section as well. Employment relationship section – RK: change the link to ezClocker. This is where you should put your employment classifications and define them (exempt, non-exempt, full-time, part-time, contract, etc.). Include in this section the work week, the hours of work, meal and break periods, timesheets or clock-in procedures, how overtime is calculated and for whom, deductions from pay and a FLSA Safe Harbor statement. This section should also include when employees can expect their paychecks, how they can access their employee file and a nepotism policy. Finally, include separation from employment statements such as your expectation of a two-week notice if they should leave (resignation letter, termination process, reference requests, etc.). Workplace Safety – In this section, you should include your drug-free workplace policy, smoke-free workplace policy, workplace violence policy, your company’s commitment to safety statement, and emergency closing procedures (including how employees will be notified). You may also want to include a weapons-free workplace policy as well as severe weather policies while employees are at work. Workplace Guidelines – In this section, make sure you put guidelines in here that employees can follow and so managers will be consistent, thereby avoiding favoritism. For example, do not put in any policy where policy exceptions could occur or where it may negate another policy. This is extremely important! Some policies to include here are: attendance policy, the performance review system and how employees are measured, outside employment, dress and grooming, social media policy (this is very important to include), the use of company bulletin boards and items that can be placed on them, propriety information policy, solicitation policy, and the use of company equipment such as computers, internet, email, printers, etc. Under the use of company computers, include a statement of how it is against company policy to turn off any antivirus protection or make unauthorized changes to the systems. If you have a sales or customer service team, you should also include a statement about calls being monitored (if they are) and what they should do if they need to use the phone for personal reasons. Time Off and Leaves of Absence – In this section you should include paid holidays, vacation policy and sick leave policy (including who the employee should notify and acceptable methods). Include policies regarding military leave, bereavement leave, jury duty/court appearance, and time off for voting. 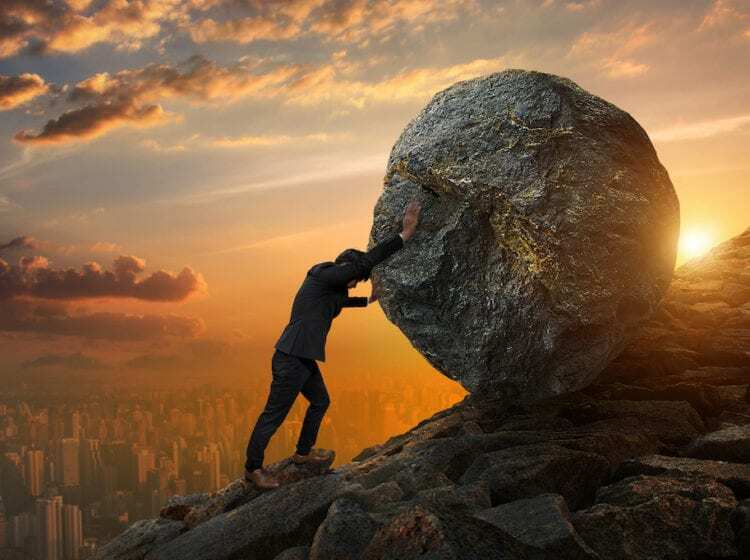 In addition, the Department of Labor states that employees must put the required FMLA information in their employee handbook if the employer has 50 or more employees. Many states have laws related to leave, PTO and even domestic violence laws. Make sure you understand your laws in your area and include those time off policies in this section. Employee Benefits section – Make sure you include what benefits you offer and when they become eligible. Examples are medical, dental, vision, life, short-term disability, long-term disability, 401(k) plan, workers’ compensation and employee assistance. Also, include fun benefits that you have such as gym memberships. 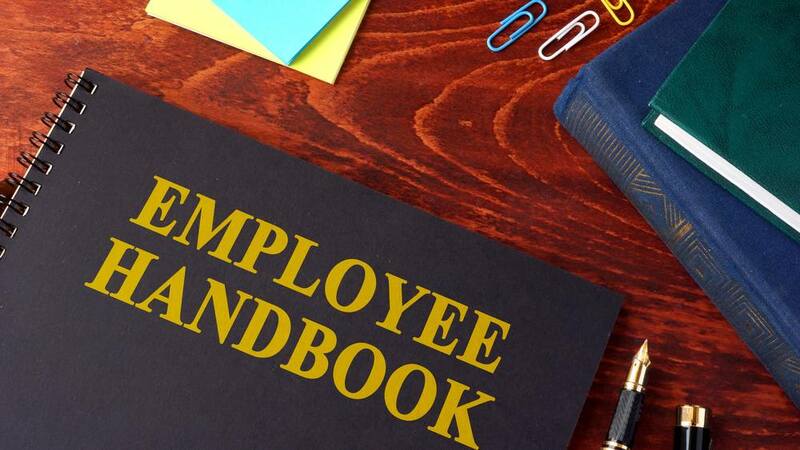 Employee Handbook Acknowledgement – Finally the last page is where the employee signs they acknowledge receipt of the employee handbook and that it is their responsibility to read and comply with the policies in the handbook. You also want to include a statement that the handbook is not an employment contract and that policies can be changed at any time. Some employers also put the at-will statement on this page again as well. Your employee should print, sign, and date this page, make their own copy and give you the original. There have been many changes in the past year regarding employment law. Make sure you know other items you may want to include or not in your handbook. For example, make sure your policies do not violate any governmental agency guidelines. Understand your state laws, too. For example, some states allow weapons in a locked car, but the employer’s handbook may say no weapons in locked cars. Also, New York City enacted the Pregnant Workers Fairness Act in 2013. The statute requires reasonable employment accommodations for expectant workers. You must verify your handbook policies follows all local, state, and federal laws. It is highly recommended that you have a local attorney review your handbook to ensure legal compliance. Also, as stated above don’t box your HR or leadership team in with too many policies. Include the ones that are mandatory for compliance and ones that your organization needs employees to know. If your company regularly deviates from policies, then don’t publish them unless you are legally mandated to do so. Make sure that if your company puts something in the handbook that every leader, manager, and HR person will uphold those policies and provide consistent discipline if needed. Otherwise, your company will find itself in legal trouble if you do not treat all employees the same.